Ah, just when you thought I’d given up on posting my outfit photos you get another! 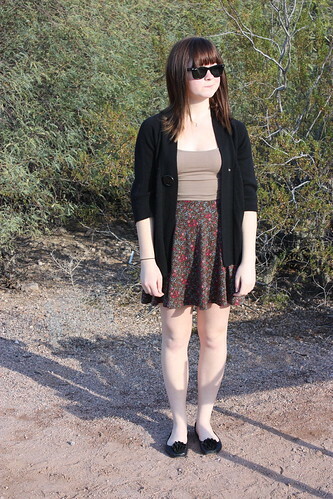 This is what I wore to the botanical gardens with my dad when we went on our photo outing. It was a little floral, a lot brown, and perfect for taking pictures of green leafy things :).